Nineteen years. As crazy as it seems - and despite that, with my amazing memory, I remember less than half of it! - I've been on this earth for nineteen years (and two days to be exact) now. What a trip. My birthday has always flirted with the birth of school. One particularly unlucky year, the days even matched. Talk about a bummer. Not this year. Although I may be shunned by popular culture for saying this, this birthday blew my eighteenth all the way out of California. It was a celebration of my last year as a teenager (gasp!). A deep breath after surviving the first week of class - three days have never felt so long! 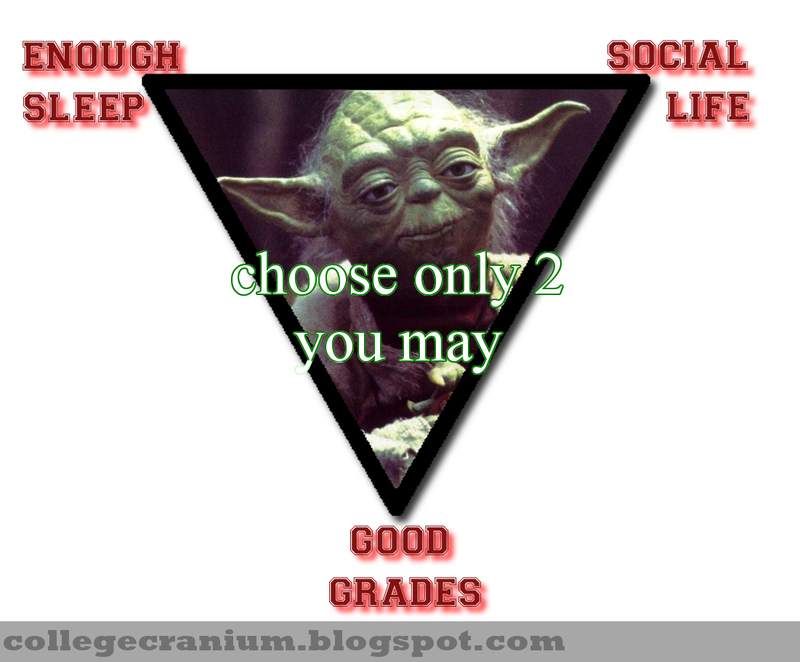 And a declaration of my mission to find the balance between social, school and sleep. I didn't get to light nineteen candles this year because my college tends to frown upon fire hazards (talk about a party pooper!) so instead, I'm sharing nineteen things that have recently lit up my life! 1. Diving into an eclectic mix of college classes from Cosmos to Intro to Linguistics (yikes!) to Philosophy. Any future philosophizing writing majors from space on the web? 2. Dorm rooms with drawers that can act like pull out cupboards. No joke - my roommate and I probably have the biggest stash of food in our entire dorm. Apocalypse? Zombie attack? No worries. We got the goods. 3. Jumping on a stationary bike in my school's gym and feeling so much stronger and healthier than I was last year! I still can't run because of my continual knee pain (gotta love a strained IT band) but, surprisingly, I'm okay with that. 5. Watching Hannah, my younger sister, blossom during her senior year of high school. Watch out Hollywood - this October, she's breaking into the acting industry in her first school play! 6. Living with a roommate who is as big of a foodie as I am! Say hello to Bri, my partner in crime, as we dined at True Foods Kitchen for my second birthday brunch. Review coming soon! 7. Diving into a good book after a long day of classes. My favorite recently? Crime and Punishment. Genius! 8. Opening up my mailbox to letters from mom or grandma. I'm old fashioned - a text is awesome too, but there's nothing sweeter than paper and pen! 9. Dancing the night away while sporting a stylin' bed-sheet toga, scarf belt and white headband during my college's Toga Party in the Greek! Last year, one of my biggest regrets was missing out on so many dances and social events. So when I heard my school was getting its Greek freak on, how could I say no? One of the most fun - tiring! - nights of my sophomore year so far! They may be old, but the Greeks definitely know how to party! And that's the real sky behind us! No backdrop! 10. Waking up every morning to pictures of my friends and family pinned up all around me. How can I have a bad day when all I see are our smiles from Colorado? 11. 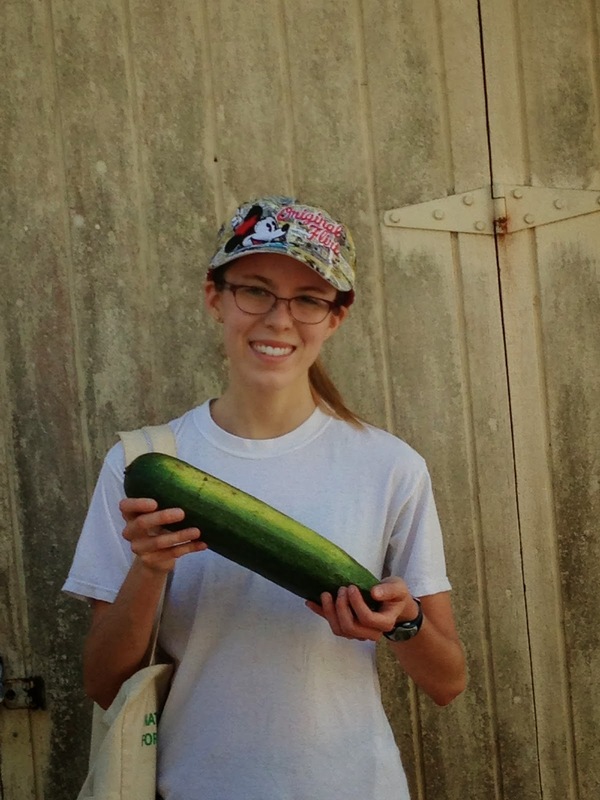 Inheriting a ridiculously humongous zucchini from my school's student garden. Seriously, Bri and I now have a weapon of major destruction chilling on top of my microwave. I'm slowly whittling away at it in my smoothies, but Zeke the Zuc, as I've come to call him, is gonna be hanging around for a while. 12. Discovering Enjoy Life's chocolate baking chocolate chunks after my elimination diet persuaded me to stay dairy free as much as possible. Delicious by the cookie (or by the handful!). 13. Having a kitchen in the dorm to whip up my favorite concoctions. Finally, midnight brownies are within my reach! Or, as I already cooked for my birthday dinner yesterday, sweet potato and salmon sliders! 14. Successfully hosting my first official blog giveaway! When I started this blog, my parents and I joked about product shipments lining up outside our front door, but I never thought a company would ever value my little corner of the Internet! I've grown a lot this year, and so has my little blog baby! Congrats to Hannah, the lucky winner - who ironically has the same name as my little sister. Fate? 15. Smiling at myself in the mirror because, on most days, I finally believe that I am, indeed, beautiful. Just as everyone reading this is. 16. Spending a beyond amazing afternoon with my family, who drove up to my college on my birthday! My little sister surprised me by coming along and we all enjoyed a birthday feast of Chick Fil A and Pamela's chocolate cake. 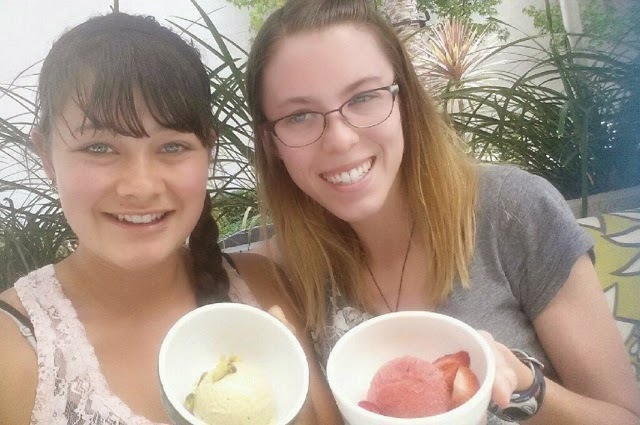 Moist, gluten free cake + dark chocolate and mint Coconut Bliss dairy free ice cream = heaven by the spoon! 17. Wearing my celiac disease diagnosis with pride on my backpack and in my conversations. I don't bring it up, but if people have questions about my food, I can whip up a quick biology lesson! 18. Savoring life's spontaneous surprises. When my family visited for our birthday brunch, we ended up scoping out a local (but huge!) swap meet. The last booth boasted boxes of license plate pieces and customers could create a custom collage of different plates. I created a metal "Casey" and they even had my birth date month, date and year to nail on top! Even spookier? The man in charge is one of the teachers at my school! Talk about a small world! 19. Feeling like I'm finally over the hill. This last year has been full of ups and downs, and though I still have plenty of hopes for the future, for the first time in a long while, I'm just fine right here. Not every one of my nineteen years has been easy. In my case, the proof isn't in the pudding - it's in all of last year's blog posts! As I celebrated what was so far the best birthday - and year of college - of my life, though, I'm thankful for every one of those candles. And that's the greatest present I could have hoped for. What blessings have been lighting up your life lately? How do you celebrate your gluten free birthday? Comment below! 19 was one of my FAVORITE birthdays ever! I'm so glad you have Colorado pictures up! (And, of your family too.) I also love Enjoy Life's chocolate chunks. I finally found the dark chocolate morsels they make, and didn't like them as much as I thought I would though.